Having a large number of children, I often get asked “How can you afford to feed all of your kids?” The answer is simple, I”m cheap. There, I said it. The only way to feed 7 growing children in this day and age is to be thrifty. I don”t buy crap. My kids eat good, healthy, wholesome foods. I”m not going to pay good money to make my kids obese. Secondly, I don”t buy what I can make (or put together easily) at home. I can”t tell you how many times I have heard my girlfriends talk about how much money they sink into their child”s lunch account at school only to find out their child has been buying chips, cookies and ice cream with their lunch money! No thank you. I pack my kid”s lunches every morning and while it takes me a good half hour to do so, I know what my kids are eating and where it came from. And I save a boat-load of cash in the process! This part of my article is top secret. I have never divulged this information before, so after you read this my blog will self-destruct. No, seriously I”d love to share some of my money saving tips with you! At the top of this article you will notice a picture. Instead of spending at least $10-$15 a week on juice boxes alone, I bought these handy-dandy Rubbermaid reusable juice boxes. 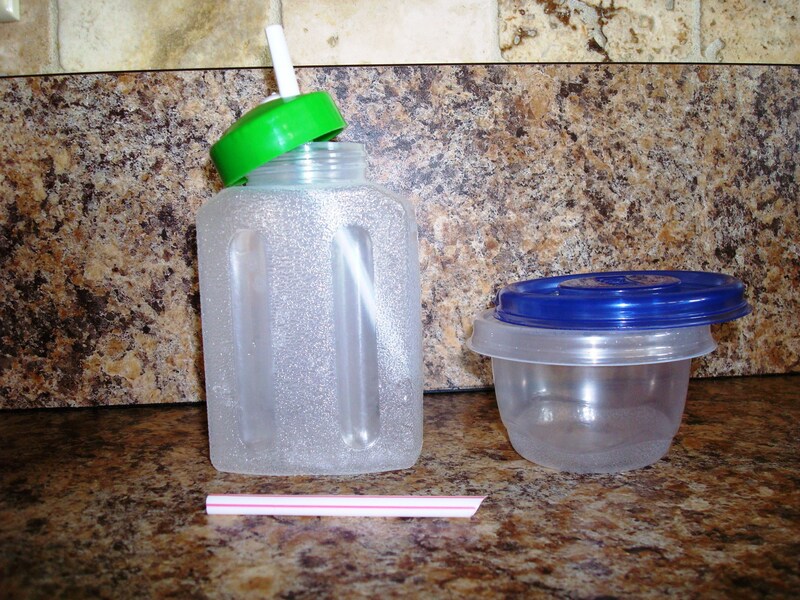 I fill them with juice or kool-aid or whatever comes in a huge economy size jug and the kids are set. The only problem I have found is if you”re not careful when doing dishes the straws like to get stuck in the garbage disposal and well…that never ends well. But never fear, I came up with a solution to that too! I bought a cheapo pack of bendy straws at the store and cut them to the same length as the straws that came with the boxes and PRESTO…you have a new straw. My kids like the “Mommy straws” better because they are all stripey and colored. Amazing what a few stripes on a straw will do! Another thing I like good online casino to put in the kid”s lunches is some sort of fruit. Some days I”ll cut up apples or whatever but one day in the store I got this great idea to just buy those super-cool applesauce cups! They”re already filled and ready to go! How easy is that, right? First problem, they”re pricey. Maybe not when you”re only buying for one or two kids but when you”re buying for 7 and they only come in 6-packs (I hate that because I always have to buy 2 packs of everything just to end up with 5 leftover!) it starts to add up. That, added to the fact that the foil on those suckers is practically super glued on there so the kid ends up spilling half of it on him/herself just getting the thing opened…we need a solution. SIDENOTE: I watched the principle at our school spill part of an applesauce cup on himself helping a child open it so it”s not just the kids! My solution was to go out and spend roughly $2 on reusable Glad bowls. You get 6 bowls in a pack (so yes, I again had to buy 2 packs) so it”s a deal! Then we buy a big container of store brand applesauce, fill the containers and there you have it…portable applesauce for a fraction of the cost and your kid can actually eat it and not wear it! Sure again, it takes a bit of time but time is money and honey, we”re saving fools! I hope you enjoyed this post. If you have any school lunch ideas that save you money feel free to post them in the comments section. I”m sure we”d all love to hear your ideas! Thanks for stopping by! That’s awesome. I do the exact same thing. Love those little snack cups. The hardest part about them was reminding the kids to bring them home and not throwing them away. My kids are pretty good about bringing the cups home it’s the plastic spoons that get thrown away. Ugh! And I am proud to say that in half a year of school and 7 kids only one has thrown away their juice box! And he was my Kindergartener so I’m just grateful it wasn’t the entire lunchbox if you know what I mean! LOL! The straws are killer sometimes and my older kids do just take the lids off the boxes too. I think for them the juice boxes resemble sippy cups just a little too much! As discussed on your facebook post, I use the small glad containers for all kinds of things. I do the jello and pudding along with cottage cheese, yogurt, craisins, raisins, etc. For sandwiches, we don’t do plastic bags. We use these bread slice-shaped sandwich containers that are usually at W*lmart and T*rget for $1 each at the beginning of the school year. Each kid has a couple – one for the lunchbox, one for the dishwasher. We go even cheaper on the drink containers. I buy the single-serve Gatorades as a treat and make the kids bring the bottles back home. I wash them and reuse for drinks, including milk. If they throw it away, no harm, but it’s nice to be able to throw it away if they forget it in their backpacks with milk in it. Yuck! Last hint I do…I buy the $1 freezer packs (little blue rectangles) at W*lmart. One in each lunchbox in the morning keeps the yogurt, milk, jello, drinks etc. nice and cold. Refreeze each night so its ready to go in the morning! Melissa…I LOVE all of your ideas! You are absolutely my go-to girl for stuff like this. Thank you so much for sharing all of your awesome money saving tips. Man, this economy ain’t gonna get us moms down now is it? LOL! My favorite tip is the little blue freezer packs. Never occured to me to use those! I use the sandwich boxes too…and yes, we have 2 sets just like you guys because I can NEVER manage to get them washed every night and ready for the next morning! Great minds think alike, eh? LOL! Thanks again Melissa! You rock! Also, to save even more money on lunch yogurt, you could always try making the homemade yogurt. I usually make big batches and spoon it into the glad cups, then put a little bit of fruit or caramel on top before throwing it in the lunchbox. Yum! Hmmm – never made yogurt in the glad cups directly. Might have to try it! I remember you posting on FB about your homemade yogurt and it looked fabulous! What is the price comparison? Ingredients for homemade vs store bought? Does the homemade yogurt keep as long as store bought? Now you’ve got me interested…. $3 for a gallon of 2% milk to turn into 1 gallon of yogurt plusa starter cube at approx. 37 cents. To make the yogurt, you will need to make an initial investment in a container of plain yogurt to use as a starter. I usually buy a 1 quart container and divide it up into the handy dandy 4oz glad containers. I freeze them, then pop the frozen yogurt out and store them in a large ziplock. When I go to make a gallon of yogurt, I pull one of the ‘starter cubes’ out of the freezer and let come to room temperature in a small bowl. Add this to the prepared milk at the right time per the recipe and let sit for 8 hours. The real cost savings is if you are a fan of greek (strained) yogurt. That stuff is expensive, but if you make your own yogurt and strain it through coffee filters, you get your own thick yummy yogurt. I also strain it for 24 hours until it is a cream cheese consistency and use it for dessert-y things. One more use for it – save the strained liquid (whey) and use it in baked goods in place of water or milk. It makes your things light and fluffy, like using buttermilk. Great pancakes with it. The first few times it will take longer as you get used to the process and figure out what works best for you. After that it takes about 20 active minutes of prep and then you are done. BTW, I picked up some more 4 oz. glad containers today and sometime next week I will let you know the results of making the yogurt right in the containers. Wow! Thanks Melissa! It sounds like a lot of fun, and I think when we spoke about this the first time you made it you mentioned this being a great project to do with the kids! They would love the satisfaction of making their own yogurt! We go through so much yogurt in our house, this just may be the answer to be having to tell the kids we can’t afford it! Hello, I am Sara’s mom…she speaks often of you and your wonderful family. It is GREAT that you do all you can to help save money and share ideas for others. People may sometimes complain about money they spend on food, lunches, etc. But, if they would just take the time to pack lunches AND quit the grabbing McNuggets every time the kids want them, they would see their money will go a little farther. Thanks for sharing…May God Bless You ALL Abundantly. Thank you so much Tommie for your kind words! I’m so glad you stopped by! There are so many ways to save a little here and there, and Lord knows we can all use THAT in this economy. I’m going to try to feature more posts like this so all of us moms can not only save money but take better care of our families and have FUN while we do it! Sara’s a hoot…so glad she’s my SIL!